Climate change is mankind's biggest comms challenge. 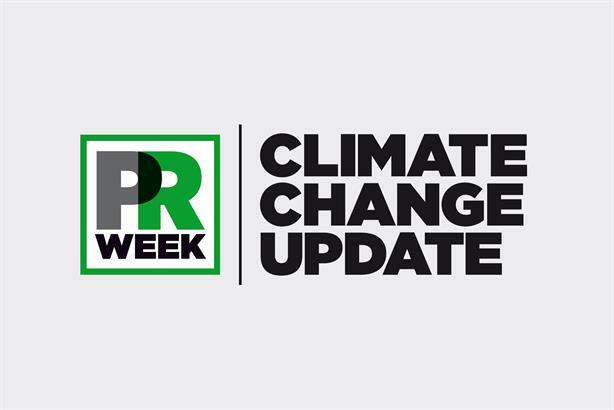 Every month we look at how the climate change message is progressing. For a moment there, with peak oil on the horizon, it looked like the world was really going to do something to wean itself off its dependence on the black stuff. Then fracking technology improved, the economy slowed and the oil price halved. It seemed that all those years of effort to control emissions would be washed away on a flood of cheap carbon fuel. But now a counter narrative has ridden to the rescue. It is based on the fact that while a low price stimulates demand for carbon fuels, it also makes supply less profitable. "Those expensive oil projects – deep sea, Arctic, tar sands – those are actually beginning to be taken off the table because of low oil prices," warned UN climate chief Christiana Figueres at Davos last month. The supply-side meme was taken up by Anthony Hilton in the London Evening Standard last month, who points out that production from fracking wells declines by between 80 per cent and 95 per cent after 36 months. As a result, fracking is costing the US oil industry $10bn a year in losses. "Thus, even if there is oversupply now it is unlikely to last and once the oversupply diminishes it will not need much of a recovery in demand to move prices up again," concludes Hilton. Their leading lights may have shown their gaffe-prone sides recently (see page 11), but one of the surprises of the 2015 election campaign so far has been the transformation of the Green Party from a special- interest group into a genuine nationwide political force. This has manifested itself on social media where mentions of the Greens exceeded mentions of the Liberal Democrats throughout January. What is more, the Greens have the highest positive sentiment of all the parties online and the lowest negative sentiment – albeit at a significantly lower level – though they also have six times less social comment than UKIP. Most of the negative sentiment came from tweets by high-profile publications such as The Economist and The Spectator criticising the party’s policies. Another sign that the Greens are breaking out of the political environmental ghetto comes with the range of topics discussed. No longer are they limited to green issues – the top conversation subject was the ‘green surge’, which followed the news that membership of the Green Party had surpassed that of UKIP. Other subjects included Trident and even Page 3.